Talk given at the 23rd International Wittgenstein Symposium, Kirchberg am Wechsel, August 13-19, 2000. Forthcoming in Berit Brogaard and Barry Smith (eds. ), Rationality and Irrationality, Vienna: öbv-hpt, 2001. The picture which philosophy today conjures up when addressing the nature of rational thinking is that of a verbal process, spoken, written, or silent. In contrast to this, I would like to show that rational - coherent, logical - thought and communication essentially involve non-verbal symbols too. Among these, visual symbols are the most important. By visual symbols I mean mental images as well as public pictures, diagrams, and models, and what I will particularly aim at demonstrating is that the growing abundance and increasingly easy production of pictures on the screen radically improve our capability to develop theories of visual imagery as well as to develop an understanding of their central role in our cognitive economy. Philosophers, just like everyone else, have at all times enjoyed more or less realistic impressions of what thinking feels like: they heard themselves thinking in words, but also they experienced themselves as thinking via mental images. But when they attempted to express, formulate, and communicate their impressions, they had no choice but to use a one-sided medium: the medium of language. And since, before the days of computer graphics, philosophers seldom actually dealt with pictures, had little practical knowledge of them, and no terminology to talk about them, they ended up either by conceiving of mental images in terms of verbal language, or by suppressing the notion of thinking in images entirely. In particular, they repudiated the notion that images might play a role in abstract reasoning. Plato and Aristotle were certainly haunted by the belief that thinking is a visual activity; but this belief became in later times no more than an underground current in philosophy, surfacing, temporarily, with the British Empiricists, and resurgent, again, today. Plato chose the words idea and eidos to designate the abstract objects of thought. These words, which he used alternately, mean "form" or "shape". Both idea and eidos come from the verb idein, "to see"; from eidos there descends the word eidolon, "the visible image". 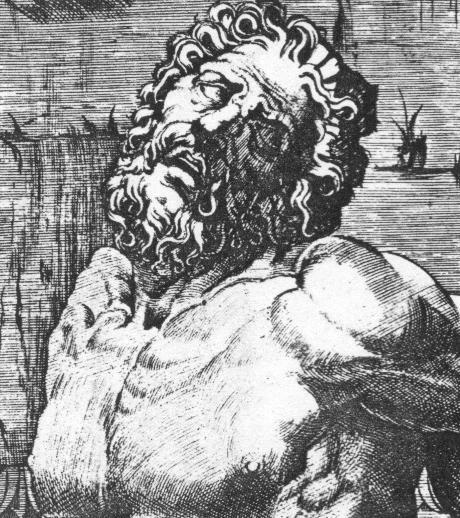 Though eidos is not etymologically related to eikon - "likeness", "picture" - the acoustic and semantic proximity between the two does suggest a kind of relatedness, and Plato is not always willing, or able, to avoid that suggestion. Thus in the Euthyphro, where Socrates wishes to learn what the idea of holiness is, so that he "may keep [his] eye fixed upon it and employ it as a model (paradeigma)",(1) or in the Meno, according to which the soul, prior to being born, has actually seen the ideas,(2) or in the Phaedrus, with its fable of "glorious and blessed sights in the interior of heaven" and "a vision of the world beyond". (3) But of course at the very same place in the Phaedrus Plato tells us that "essences", i.e. ideas, are "formless, colourless, intangible, perceived by the mind only". And in the Republic we learn that "ideas can be thought but not seen"(4). Platonic ideas are not images; they are abstract word-meanings. Plato's philosophy emerges under the impact of the rise of alphabetic literacy. (5) Pre-literal narrative language, as Herder already stressed,(6) is inherently metaphoric, feeding on, and fostering, images; with the rise of written language, however, not only spoken language, but also the language of images became relegated to an inferior position. The history of Western philosophy is a history of recurrent clashes between the experience of imagery on the one hand, and the experience of written language on the other; with written language invariably being the victor. Aristotle's thesis, according to which "the soul never thinks without an image" - phantasma - must have remained barren in the context of De anima, dominated as it was by the metaphor of the mind as a writing-table (grammateion). (7) Locke's famous difficulty, described in Book 4, chapter 7 of his Essay - namely that it does indeed "require some pains and skill to form the general idea of a triangle, (which is yet none of the most abstract, comprehensive, and difficult,) for it must be neither oblique nor rectangle, neither equilateral, equicrural, nor scalenon; but all and none of these at once. In effect, it is something imperfect, that cannot exist; an idea wherein some parts of several different and inconsistent ideas are put together" - definitely expresses some deep ambiguity. Ideas seem to be of a pictorial nature (otherwise the general idea of a triangle would not cause embarrassment) but also they must permit of non-pictorial dimensions (since as generic pictures, Locke implies, they cannot exist). In fact in the Essay there is a marked tendency to equate ideas with single written words. The mind, at birth, is like a "white paper, void of all characters, without any ideas"; when describing the doctrine of stamped, or imprinted,innate characters,(8) it is only the innateness Locke takes issue with. Berkeley, insisting that ideas are indeed images, still believes that generic mental images are inconceivable. In the course of my talk I will cite arguments in favour of the existence of generic images, and come back to Berkeley's criticism of Locke. Of the British Empiricists, it is Hume whose views of the thinking process are most unequivocally imagistic. "The term 'idea'", as The Wisdom of the West by Russell puts it, "is here to be understood in the literal Greek sense of the word. Thinking, for Hume, is picture thinking, or imagining, to use a Latin word which originally meant the same. "(9) Hume's observations are still today useful when it comes to explaining how pictures can mean what they mean, and I will return to those observations later. In the event, however, Hume too remained a prisoner of Gutenberg, just as did every modern philosopher before Nietzsche. Let me mention here the Critique of Pure Reason, the grand task of which was to provide a synthesis of sensibility and conceptual knowledge, a task the author, wriggling in the chains of a linear text unsuited to deal with the facts of pictorial thinking, could clearly not fulfil. Let me just refer to the Schematism of the Pure Conceptions of the Understanding - "th[e] representation of a general procedure of the imagination to present its image to a conception, I call the schema of this conception"(10) - , or indeed to the fundamental Kantian definitions of the understanding itself, like for instance: Verstand ist das Vermögen, den Gegenstand sinnlicher Anschauung zu denken(11). The first philosopher who in fact used pictures - drawings - to illustrate some of the points he wanted to make about seeing and imagining, was the later Wittgenstein,(12) a philosopher for whom written language has lost its spell,(13) and whose views on mental imagery were rather less unequivocal then is generally supposed. I will return to Wittgenstein presently. One morning, exactly at sunrise, a Buddhist monk began to climb a tall mountain. The narrow path, no more than a foot or two wide, spiralled around the mountain to a glittering temple at the summit. - The monk ascended the path at varying rates of speed, stopping many times along the way to rest and to eat the dried fruit he carried with him. He reached the temple shortly before sunset. After several days of fasting and meditation, he began his journey back along the same path, starting at sunrise and again walking at variable speeds with many pauses along the way. His average speed descending was, of course, greater than his average climbing speed. - Prove that there is a single spot along the path the monk will occupy on both trips at precisely the same time of day. Even for the graphically minded it is not entirely trivial to visualize this solution. Robert McKim for instance, in his Experiences in Visual Thinking, manages to add a rather confusing diagram to an otherwise useful text. (19) The ideal expedient suggesting itself here, with the means at our disposal these days, seems to be some appropriate animation. Picture printing was invented around 1400 a.d. Ivins argues that this was a much more revolutionary invention in the history of communication than that of typography half a century later. Pictures became more or less exactly repeatable. However, they were still a long way from being faithful copies of particular natural objects; indeed the very demand for faithful representations emerged only gradually in the course of the fifteenth century. 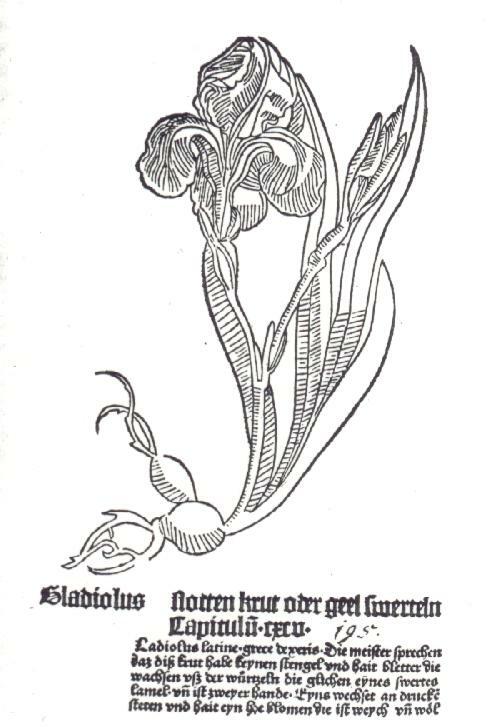 The so-called Pseudo-Apuleius, a printed version of a ninth-century botanical manuscript, published just after 1480 at Rome, contains woodcuts that are careless copies of the manuscript illustrations, and could of course not be of any practical use. Already just a few years later the German herbal Gart der Gesundheit is printing woodcuts based on expert drawings of the original plants. However, neither woodcuts, nor etchings or engravings, could aim at complete faithfulness. 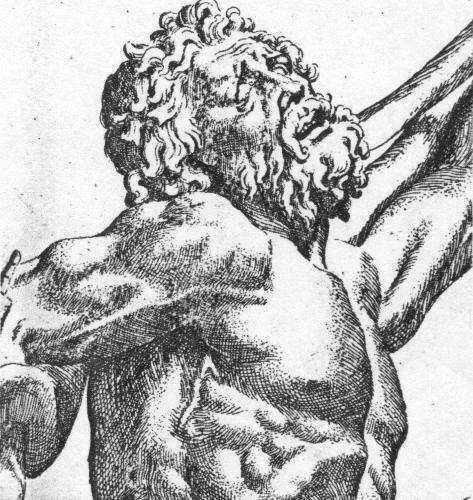 Ivins points out that when Lessing wrote his famous treatise on the Laocoon group, he did not, because he could not, have reliable illustrations at his disposal. "Each engraver", writes Ivins, "phrased such information as he conveyed about [the statues] in terms of the net of rationality of his style of engraving. There is such a disparity between the visual statements they made that only by an effort of historical imagination is it possible to realize that all the so dissimilar pictures were supposed to tell the truth about the one identical thing. At best there is a family resemblance between them. "(29) Until the age of photography, as Ivins stresses, there existed no technology of exactly repeatable pictorial representations of particular objects. 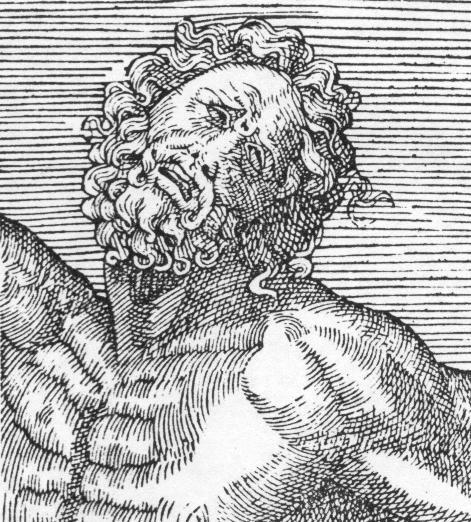 The head of Laocoon. 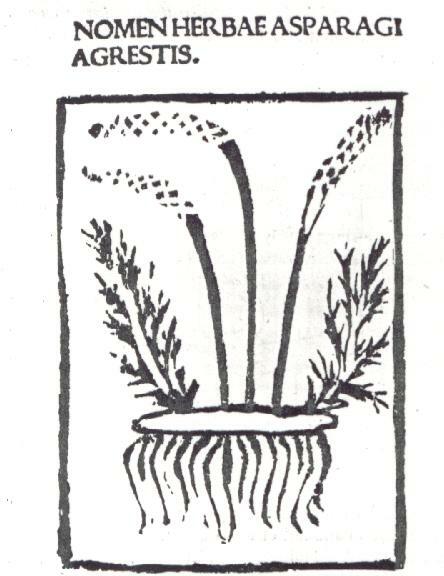 Engraving around 1527, woodcut 1544, etching 1606. After Ivins. Although, as he puts it, "words and writings by letters do far excel all other ways", Bacon still finds it necessary to investigate the possible uses of "characters real". (30) However, such investigations could not really begin before the late twentieth century. Even in the 1920s and 30s they turned out to be technologically premature, as is revealed by the failed experiments of Otto Neurath. Neurath was working towards an "International System Of Typographic Picture Education", abbreviated as isotype, an interdependent and interconnected system of images, to be used together with word languages, yet having a visual logic of its own. 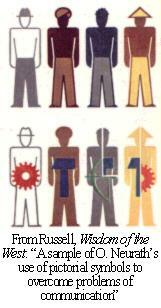 Isotype would be two-dimensional,(31) using distinctive conventions, shapes, colours, and so on. "Frequently it is very hard", Neurath wrote, "to say in words what is clear straight away to the eye. It is unnecessary to say in words what we are able to make clear by pictures". (32) Neurath particularly stressed that the elaboration of his picture language was meant to serve a broader task, that of establishing an international encyclopaedia of common, united knowledge - the "work of our time", he said. (33) However, he never even came near to realizing such lofty aims. The icons elaborated within the framework of the isotype program have served as models for those international picture signs we today daily encounter at airports and railway stations, but - because they are so crude, and so cumbersome to produce - they could not form the basis of a true visual language. Even so, Neurath's program does raise some interesting theoretical questions with respect to pictures. Central among these is the natural resemblance vs. conventionality issue - an issue at the heart of Wittgenstein's philosophy of pictures. What really comes before our mind when we understand a word? - Isn't it something like a picture? Can't it be a picture? - Well, suppose that a picture comes before your mind when you hear the word "cube", say the drawing of a cube. In what sense can this picture fit or fail to fit a use of the word "cube"? - Perhaps you say: "It's quite simple; - if that picture occurs to me and I point to a triangular prism for instance, and say it is a cube, then this use of the word doesn't fit the picture." - But doesn't it fit? I have purposely so chosen the example that it is quite easy to imagine a method of projection according to which the picture does fit after all. - The picture of the cube did indeed suggest a certain use to us, but it was possible for me to use it differently. I see a picture; it represents an old man walking up a steep path leaning on a stick. - How? Might it not have looked just the same if he had been sliding downhill in that position? Perhaps a Martian would describe the picture so. I do not need to explain why we do not describe it so. The first part of this latter remark made an impact on no less a figure than Fodor, who, giving due reference to Wittgenstein, wrote in The Language of Thought, way back in 1975: "A picture which corresponds to a man walking up a hill forward corresponds equally, and in the same way, to a man sliding down the hill backward. "(36) Two comments. First, as I suggested earlier, and will make it explicit later, still images are, psychologically speaking, but limiting cases of dynamic ones. With the development of twentieth-century visual culture, this seems to have become the case with regard to physical pictures, too. I find it difficult to swallow that Wittgenstein, who was a movie addict, and who regularly employed the film metaphor especially in his middle phase, did not make use of the idea of animation when discussing pictorial representation. At any rate, one can confidently assert that an animation showing a man walking up the hill does not look just the same, not even to a Martian, as if he were sliding downhill. Second comment: Fodor omits the Wittgensteinian remark "we do not describe it so". It is clear what Wittgenstein had in mind: Pictures belong to our way of life, they are part of our language-games; there are conventions guiding the use of some of the pictures at our disposal, and with such pictures verbal language does not have to play a mediating role. Wittgenstein took it for granted that the words we apply have established, conventional, uses. It is strange that, by contrast, in the case of pictures he should have regarded established conventions the exception rather than the rule. An argument by Søren Kjørup deserves to be quoted here. "In most situations", Kjørup wrote, "we understand perfectly well what the uses are to which words are put. - So why should it not be possible to imagine situations in which it is just as evident to which uses pictures are put?" To this he added: "More often than not there is no logical reason why we should not be able to perform a certain illocutionary act with pictures" - that is, do something with pictures so that they convey meaning - "but it just so happens that there are no rules for performing the act with pictures, although one might easily be devised. And this is not astonishing", Kjørup continued, "considering that whereas verbal language has been used and refined on the tongue of practically every human being as long as human beings have existed at all, pictures were ... scarce before the invention of picture printing around 1400 a.d."(37) At which point Kjørup ends with a reference to the book by William Ivins we have quoted at length earlier. Incidentally, Kjørup's argument does not mention Wittgenstein - his points of reference are Gombrich, Austin, Searle, and Goodman. We will come to Goodman in a minute, but let me say first that in the literature on Wittgenstein there certainly are tendencies, too, to establish some kind of continuity between his early and later views on picturing. (38) In a devastatingly brilliant, as yet still unpublished paper "Ludwig Wittgenstein: A Case Study in Dyslexia" Hintikka - after pointing out that to dyslexics "a metaphor ... or other nonliteral, shortcut uses of language" might amount to an escape route, and that Wittgenstein's "early account of meaning was a dyslexic's wish fulfillment dream, in that it explained symbolic meaning in terms of pictorial meaning" - stresses that "Wittgenstein's doctrine is as much a propositional interpretation of pictorial meaning as a picture 'theory' of propositional meaning". This seems to me to be a formula which establishes a felicitous connection between the manifest views of the early and the later Wittgenstein. Another strategy is to point out that neither the early nor the later views of Wittgenstein on picturing are as straightforward as they are commonly taken to be. Recall the Tractarian notion of abbildende Beziehung, "pictorial relationship"(39), consisting of "the correlation of the picture's elements with things"(40). This "pictorial relationship" has exactly the same function as the later concept of a "method of projection"; the idea of convention is there in the Tractatus, too. Nor is the idea of resemblance missing from the Investigations. "Knowing what someone looks like: being able to call up an image - but also: being able to mimic his expression. Need one imagine it in order to mimic it? And isn't mimicking it just as good as imagining it? "(41) What merits attention here is less Wittgenstein's untiring endeavour to relegate mental images to a merely secondary place, but rather that he does allot them some place - the passage just quoted follows only two lines upon the interesting remark "We do not realize that we calculate, operate, with words, and in the course of time turn them sometimes into one picture, sometimes into another" - and, even more, that he does indeed allow for a possible likeness between pictures and what they depict. (42) The dictum pronounced in Philosophical Grammar: "Anything can be a picture of anything", is of only limited validity in Philosophical Investigations. This particularly holds for the so-called Part II of Philosophical Investigations. Wittgenstein's discussion of seeing as would not make sense without the presupposition of pictures as natural signs. Recall his introduction, at the beginning of Part II, section xi, of what he describes as a "picture-face". "In some respects I stand towards it", he writes, "as I do towards a human face. 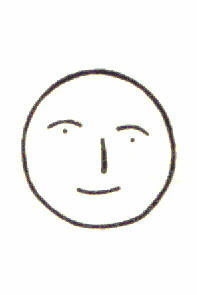 I can study its expression, can react to it as to the expression of the human face. 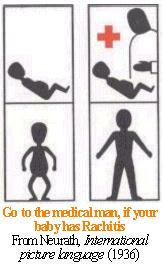 A child can talk to picture-men or picture-animals, can treat them as it treats dolls." Of course, as Wittgenstein says some pages later, "custom and upbringing" do play a role in how we see pictures;(43) that role, however, might be in some cases just a slight one. There is a passage discussing the "double cross" - a white cross on a black ground or a black cross on a white ground - where Wittgenstein says: "Those two aspects of the double cross ... might be reported simply by pointing alternately to an isolated white and an isolated black cross. One could quite well imagine this", Wittgenstein adds on an uncharacteristic note, "as a primitive reaction in a child even before it could talk." The later Wittgenstein's method of explaining philosophical points with the help of diagrams - his Nachlaß contains some 1300 of them - would have made no sense if he had really adhered to the position that images do not have an unequivocal meaning unless interpreted verbally. This is the point Andreas Roser makes in his important paper "Are There Autonomous Pictures? Remarks on the Graphic Work of Otto Neurath and Ludwig Wittgenstein", written in the mid-nineties. (44) Roser's main argument, very briefly, is that one could not speak of different applications of the same picture if one did not distinguish between the picture and its application. Clearly for any visual object to be treated as a picture presupposes a specific institutional setting, and - let me add - for something to be recognized as being of a certain shape or colour at all depends on our specific neurophysiological makeup. But this makeup and setting being presupposed, there does indeed exist an autonomy of pictures. It is not the case that Goodman's position has not been subjected to some more minute critical analyses. (50) But it appears that these have not made the necessary impact. Indeed the legacy of Languages of Art is not without influence on, and causes confusion in, a discipline which today has paramount practical significance. I am referring to cognitive science, and, in particular, the so-called imagery debate within cognitive science. At this point Kosslyn mentions some items from the literature, among them Jerry Fodor's 1975 The Language of Thought and, also, Wittgenstein's Philosophical Investigations. Clearly, in the imagery debate Wittgenstein stands for the view that pictures without a verbal interpretation cannot carry meaning. Kosslyn then closes the passage by writing: "The issue was whether visual mental images rely on depictive representations (which are in turn interpreted by other processes), or whether they are purely propositional representations." As Kosslyn sees the matter, it was through neurophysiological research that a turning-point in the discussion was brought about. By 1982 it became possible to demonstrate that in the cortex there are some visual areas which are retinotopically mapped. The neurons in those cortical area are organized to preserve the structure of the retina. "These areas", suggests Kosslyn, "represent information depictively in the most literal sense... ... imagery relies on topographically organized regions of cortex, which support depictive representations. 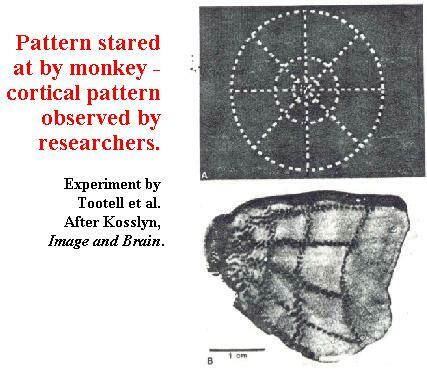 "(52) Now what Kosslyn does not explain is how we should construe the relation of such cortical patterns to the images we experience as mental contents. It seems to me that the complaint repeatedly raised by Zenon Pylyshyn - the main exponent of the propositionalist side in the debate - namely that the imagist approach lacks a coherent view of its methodological foundations, has been, until very recently, justified. One retains this impression when looking at the important book Descartes' Error by a leading neurophysiologist, Antonio Damasio, published in the same year as Kosslyn's volume. (53) Let me sum up Damasio's stand on mental representation. It is in the form of images, he holds, that the factual knowledge required for reasoning and decision making comes to the mind. Images are not stored as facsimile pictures of things, or events, or words, or sentences. Given the huge quantities of knowledge we acquire across our lives, facsimile storage would pose problems of capacity which would almost certainly be insurmountable. We are all aware that in recalling a face, or an event, we generate not an exact reproduction but rather some sort of re-interpretation, a new version of the original which will in addition evolve over time. On the other hand however we all equally have the sensation that we can indeed conjure up, in our mind's eye, approximations of images we previously experienced. These images images tend to be held in consciousness only fleetingly, and although they may appear to be good replicas, they are often inaccurate or incomplete. Images are the main content of our thoughts. But "hidden behind those images, never or rarely knowable by us", there are numerous processes that guide the generation and deployment of images. "Those processes utilize rules and strategies embodied in dispositional representations. They are essential for our thinking but are not a content of our thoughts. "(54) Damasio, too, attaches high importance to the idea of retinotopical mapping, but is at the same time heir to the work of Frederic Bartlett who in his 1932 classic, Remembering, emphasized that mental images have a fundamental role to play in consciousness, indeed that consciousness is nothing else but, as he put it, the "turning round" of an organism upon its own "schemata". Now cortical patterns and neurophysiological processes on the one hand, and conscious images on the other, are very different kinds of entities. The methodologically inevitable step is to posit mental images as theoretical constructs - as "theoretical entities" exactly in the sense employed by Sellars in "Empiricism and the Philosophy of Mind"(55) - and to treat both the objective and the subjective sides of the observational data as empirical correlates of those constructs. Until very recently this inevitable step could simply not be taken, since the medium in which to represent mental images as theoretical constructs was not available. Precisely those dimensions that set images apart from words cannot be described in verbal language; but they can be captured by visual means. The iconic revolution, made possible by the graphical capabilities of computer software which barely existed ten or fifteen years ago, now provides us with the instruments of a language in which verbal and visual elements coalesce. Several, juxtaposed, layers of changes have to be taken into consideration here. There is a decreasing dominance of written language and a rise of a new visuality, a process well under way by the 1980s. In his pioneering book Cognitive Psychology, published in 1967, Ulric Neisser noted that since eidetic imagery - mental imagery of a quasi-sensory vividness and richness of detail - is not uncommon in young children, but very rare among adults (namely American adults), that capacity must somehow diminish with age. "Some visual factor connected with literacy", Neisser remarked, "may be responsible". (56) Recall the related points made by Russell and Price. We might hypothesize that the ability to have images is, today, again on the ascent - this is what I regard as a first layer of change. Secondly, people are becoming familiar with pictures, are acquiring a rich experience of dealing with pictures, to an extent unprecedented throughout written history. And thirdly, to repeat, there is the change connected to the use of today's computers: the ease with which one can produce pictures, the increasing everyday possibility to communicate via pictures. It is in the work of Lawrence Barsalou that the imagery debate has taken a first step towards the methodological clarity the iconic revolution makes possible. (57) In his paper "Perceptual Symbol Systems", published last year in Behavioral and Brain Sciences, Barsalou outlines an approach to the problem of mental images that is indebted to a wide array of sources, among them certain arguments set forth by Searle in his 1980 "Minds, Brains, and Programs". I have no space here for giving a complete summary of Barsalou's approach; I single out just a few main points. Barsalou's position is that cognition is inherently perceptual, and that perceptual memories can function symbolically, which means: 1. they can stand for referents in the world, and 2. they can allow for symbol manipulation. However, as Barsalou underlines: "Perceptual symbols are not like physical pictures; nor are they mental images or any other form of conscious subjective experience. As natural and traditional as it is to think of perceptual symbols in these ways, this is not the form they take here. Instead, they are records of the neural states that underlie perception." 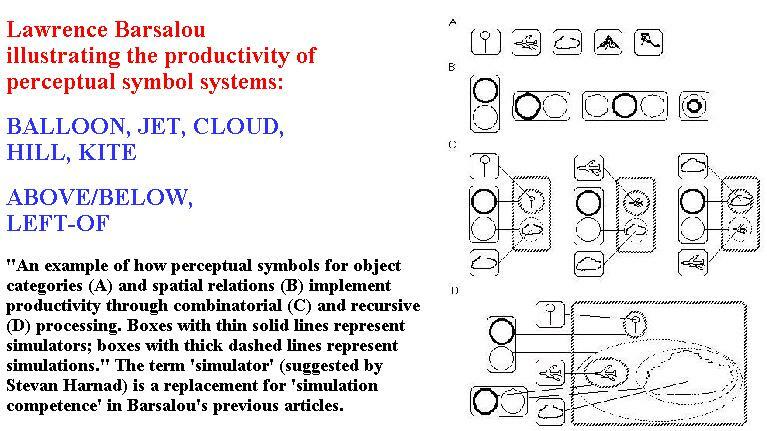 Perceptual symbols combine, and form systems; and perceptual symbol combinations are, as Barsalou puts it, productive, they represent not holistically but componentially. Barsalou introduces iconic conventions to denote perceptual symbols and their combinations, but stresses, again, that his diagrams "should not be viewed as literally representing pictures or conscious images. Instead, these theoretical illustrations stand for configurations of neurons that become active in representing the physical information conveyed in these drawings." Perceptual symbols do not just represent, or refer to, classes of objects; a system of such symbols is also suited to express propositions. Barsalou presents diagrams expressing that some perceived individual object belongs to a certain class, or that it is true that some perceived objects stand in a certain relation to each other, repeatedly emphasizing that "such drawings are theoretical notations that should not be viewed as literal images". Now Barsalou's reason for these reiterated affirmations that neither perceptual symbols, nor indeed the diagrams he uses, do in any actual sense depict, seems to be that he accepts Goodman's position. He refers to Goodman when he writes: "the degree to which a symbol's content resembles its referent is neither sufficient nor necessary for establishing reference". But at the same time he cannot quite do without the idea of real pictoriality. As he puts it: "variations in the form of a perceptual symbol can have semantic implications". Or again: "As the content of a symbol varies, its reference may vary as well." He tries to have it both ways when he says: "Just because the content of a perceptual representation is not the only factor in establishing reference, it does not follow that a perceptual representation cannot have reference and thereby not function symbolically." In the end he just gives up. "The conditions under which analogical reference holds", he writes, "remain to be determined." But Barsalou's tendency to shun any reliance on resemblance has the undesirable consequence that he actually has to ban imagery from consciousness. His "drawings", he writes, "are used only for ease of illustration", and "they stand for unconscious neural representations". It appears that, with Goodman in the background, the theoretical constructs Barsalou introduces cannot quite fulfil their role. The way out of this predicament is the way back to a philosopher Barsalou regularly refers to, the philosopher to whom he really owes a fundamental debt: H.H. Price. Price is the philosopher, too, in whose work we find the most elaborate attempt to deal with the issue of generic images. Locke's problem was that no mental image of a triangle can stand for the general concept of a triangle, since any image would have to be a determinate kind of figure. Daniel Dennett seems to have run into a similar problem when he discovered, way back in 1969, that whereas one can speak of a tiger having numerous stripes, one cannot have a mental image of a tiger without experiencing a particular number of stripes. Hence imagining a generic tiger cannot amount to having the mental image of a tiger. (58) Fodor, in The Language of Thought, attempts to refute Dennett. He points out - correctly, I believe - that a mental image can be blurred, or can be "a sort of a transient stick figure"; and then closes the argument - falsely, I think - with the observation that even a blurred, transient, or simply bad, image can have the proper reference, if it is connected with one's intentions in the right way. (59) In an exchange which must have been written at the time Fodor's book was published, Elliott Sober and Robert Howell had a rather convoluted discussion in Synthese, approximating, between them, the conclusion that pictures need not be determinate. Sober asserted - against Berkeley - that "there could be a picture of something triangular which leaves indeterminate the kind of triangularity the thing has", if, say, "the object is pictured as being in the distance, at an angle difficult to determine, and partially obscured by fog"; while Howell, wrestling with one of Sober's examples, made the insightful comment that if we imagine "a picture showing a line of fire engines fading off into far distance", the little, quite blurred, specks towards the end of the line will still be taken as pictures of fire engines. (60) These discussions from the 1970s however, though useful, were altogether inferior to the analysis provided by Price in his Thinking and Experience, published in 1953 - the same year Wittgenstein's Philosophical Investigations came out. Now the quasi-instantiative function of both mental images and physical replicas clearly relies on resemblance. Price does not believe that the notion of resemblance is unproblematic. In fact he discusses three types of problems: that of too little resemblance, that of resembling too many things, and that of resembling one thing too closely. The problem of too little resemblance has really two aspects to it, a trivial one and and an intricate one. When an image is too faint, or a replica too imperfect, we might just say that they are useless, as there are also words which are so vague as to be useless. This is, then, a trivial aspect of too little resemblance. (65) However, a hazy image or a bad replica might also have the advantage of not being bound too closely to any particular instance of the concept instantiated. This is an intricate matter, leading to the issue of generic images. The problem of resembling too many things is a problem of ambiguity. One's image of a crocodile might be a very clear one, but that image, points out Price, will then resemble not only a crocodile, but also a lizard, a reptile, an animal, and so on. The image-symbol, writes Price, seems to have "a kind of systematic ambiguity within the determinable-determinate hierarchy it refers too". (66) But there is also non-systematic ambiguity. The image of a crocodile resembles anything with roughly the same colour, and anything with roughly the same shape. As Price puts it: "any image symbol, or indeed any replica whether physical or mental, is bound to be ambigious. ... it cannot help having too many resemblances. In this respect ... the particulars which symbolize by resemblance are greatly inferior to words and other non-resemblant symbols. "(67) There is a solution to this predicament. "When I think about some object or class of objects in an imagy manner", says Price, "I am not restricted to using just one single image. I might use a series of different images. Again, the image which I use need not be static. It might be, as it were, a working model, cinematographic rather than static. "(68) This is a momentous, far-reaching insight. And it applies to the difficulty posed by systematic ambiguity, too. What determines, Price asks, whether a crocodile image means crocodile, or reptile, or organism in general? "There may be no difference", he answers, "if we consider just one single image, especially if it is a static image. But there is a great difference if we consider what other images we produce, or have a tendency to produce, along with or after this one. "(69) What Price here does, then, is to apply the context principle to pictorial meaning. And it is significant that in this connection he refers to Hume's formula, in the section "Of Abstract Ideas" of Book 1 in the Treatise, according to which we have ideas "not really and in fact present to the mind, but only in power", ideas we do not "draw ... all out distinctly in the imagination, but keep ourselves in a readiness to survey any of them, as we may be prompted by a present design or necessity". A different problem is posed by images resembling one thing too closely. The more closely a mental image resembles a particular entity, suggests Price, the less closely it will resemble many others in the same class. Images should certainly be fit to fulfil the role of standing for concepts, and from this point of view "it would almost seem that a 'bad' image - schematic, sketchy, lacking in detail - is better than a 'good' one". (70) Price points out that "the problem of 'too much resemblance' still arises when we consider the relation between an image and an individual object". (71) The more an image resembles, say, the front view of some particular thing, the less it will resemble its side view. As Price sums it up: "It seems as if an image must have some at least of the properties of a general symbol if it is to represent even an individual object adequately. "(72) There are two kinds of images Price draws attention to in this connection. First, generic images of a Galtonian sort, analogous to composite photographs, which, as Price puts it, "symbolize by typical resemblance". Images of this kind, Price believes, "do occur, and can be used for thinking of classes whose members differ from each other, provided these differences are not too great". (73) Secondly, and more importantly, there are what Price calls "inchoate images"(74), of a "vague", "evanescent", or "fleeting" character. (75) The doctrine of general images is defensible, if those images are conceived as "not fully determinate particulars". As Price sums it up: "It would appear that such incompletely determinate particulars do occur in image thinking, however we choose to describe them. And if indeed they do, they seem well fitted to serve as general symbols..."(76) But here Price adds that if there are incompletely determinate images, "the analogy between images and physical replicas ... to that extent breaks down". (77) In the domain of public communication the problem of generic pictorial meaning is left unresolved by Price. It can be resolved by calling attention to the means of pictorial conventions. Those means however were much less available in Price's times than they are today. We are back at the topic of the iconic revolution. Let me sum up. In this talk I have attempted to show that, due mainly to advances in computer software, pictures are today becoming a vehicle for communicating rational thought. As a direct result of this, it is increasingly possible to introduce, namely form pictures of, theoretical entities which can explain how the subjective experience of mental imagery hangs together with neurophysiological facts. The brain works neither with pictures, nor with propositions. It works with clusters of functionally connected neurons. But how can we best convey an idea of those functional connections? Using pictures extensively in our explanations is both more natural and theoretically more fruitful than talking merely in terms of formal strings of abstract symbols. Until quite recently, this avenue was simply not open when it came to philosophical communication. Now, however, it even becomes possible to give a new interpretation of the history of the philosophy of mind, explaining why the common-sense belief that we, really, think in images, never received an adequate theoretical formulation. * I am deeply indebted to Csaba Pléh, Professor of Psychology at the Universities of Budapest and Szeged, for innumerable discussions relating to the topics of this paper, and his unrelenting efforts to keep me alert to new developments in cognitive psychology. I am grateful to Barbara Tversky for valuable comments she made on the text of my paper as presented in Kirchberg. 1. 6e - translation by Harold North Fowler. 2. 81c. - On Plato's conflicting views on conveying knowledge by graphic means see Petra Gehring - Thomas Keutner - Jörg F. Maas - Wolfgang Maria Ueding, eds., Diagrammatik und Philosophie, Amsterdam: Rodopi, 1992, pp.7 and 15ff. 3. 247a-c - translated by B. Jowett. 4. 507c - translated by Paul Shorey. 5. In a telling passage of the Philebus Plato compares the soul to a book, adding however that besides the "scribe" who writes "within us" there is also "another artist, who is busy at the same time in the chambers of the soul": "The painter, who, after the scribe has done his work, draws images in the soul of the things which he has described" (39a-b, Jowett transl.). 6. Let me refer to his early piece "Über die neuere Deutsche Litteratur. Erste Sammlung von Fragmenten" (1766 - I am quoting from Herders Sämmtliche Werke, ed. Bernhard Suphan, vol.1, Berlin: Weidmannsche Buchhandlung, 1877). In the childhood phase of language "[sprach] man noch nicht ..., sondern tönete; ... man [dachte] noch wenig ..., aber [fühlte] desto mehr ...; und also nichts weniger als schrieb" - "Man sang also, wie viele Völker es noch thun und wie es die alten Geschichtschreiber durchgehends von ihren Vorfahren behaupten" - "Das Kind erhob sich zum Jünglinge... die Lebens- und Denkart legte ihr rauschendes Feuer ab: der Gesang der Sprache floß lieblich von der Zunge herunter, wie dem Nestor des Homers, und säuselte in die Ohren. Man nahm Begriffe, die nicht sinnlich waren, in die Sprache; man nannte sie aber, wie von selbst zu vermuthen ist, mit bekannten sinnlichen Namen; daher müssen die ersten Sprachen Bildervoll, und reich an Metaphern gewesen seyn" (p.153). - And on the next pages: "je mehr bürgerliche und abstrakte Wörter eingeführet werden, je mehr Regeln eine Sprache erhält: desto vollkommener wird sie zwar, aber desto mehr verliert die wahre Poesie" (p.154). - "Das hohe Alter [der Sprache] weiß statt Schönheit blos von Richtigkeit. ... Je mehr die Grammatici den Inversionen Fesseln anlegen; je mehr der Weltweise die Synonymen zu unterscheiden, oder wegzuwerfen sucht, je mehr er statt der uneigentlichen eigentliche Worte einführen kann; je mehr verlieret die Sprache Reize: aber auch desto weniger wird sie sündigen. ... Dies ist das /dies wäre ein Philosophisches/ Zeitalter der Sprache" (p.155). That is, according to Herder the words of oral language have figurative, metaphorical, non-literal meanings; written language is abstract, philosophic, non-figurative. - Let me also cite from the lectures Nietzsche gave on Greek literature in 1872, at the University of Basel (my source being: Nietzsche's Werke, Leipzig: Alfred Kröner. Vol.XVIII. Philologica. Second volume. Unveröffentlichtes zur Litteraturgeschichte, Rhetorik und Rhythmik, 1912). Nietzsche refers to "die Tropen, die uneigentlichen Bezeichnungen", and continues: "Alle Wörter aber sind an sich und von Anfang an, in Bezug auf ihre Bedeutung, Tropen" (p.249). Nietzsche's explanation of synecdoche, metaphor, and metonym: "die Tropen treten nicht dann und wann an die Wörter heran, sondern sind deren eigenste Natur. Von einer 'eigentlichen Bedeutung', die nur in speciellen Fällen übertragen würde, kann gar nicht die Rede sein" (p.250). In these lectures Nietzsche strives to demonstrate the essentially oral character of Greek literature. His thesis, then: the words of pre-literal language are, without exception, tropes - words expressing images. And a last quote from this material, here Nietzsche quoting: "richtig Jean Paul, Vorschule der Aesthetik: 'Wie im Schreiben Bilderschrift früher war als Buchstabenschrift, so war im Sprechen die Metapher, insofern sie Verhältnisse und nicht Gegenstände bezeichnet, das frühere Wort, welches sich erst allmählich zum eigentlichen Ausdrucke entfärben musste. Das Beseelen und Beleiben fiel noch in Eins zusammen, weil noch Ich und Welt verschmolz. Daher ist jede Sprache in Rücksicht geistiger Beziehungen ein Wörterbuch erblasseter Metaphern'" (pp.264f.). 7. Aristotle, On the Soul, 431a and 430a, transl. by J. A. Smith. The Complete Works of Aristotle: The Revised Oxford Translation, ed. by Jonathan Barnes, Princeton: Princeton University Press, 1984. I am indebted to István Bodnár for his generous help over issues regarding Plato and Aristotle. 8. John Locke, An Essay Concerning Human Understanding, Book 2, chapter 1, section 2; and Book 1, chapter 1, sections 1 and 5. 9. Bertrand Russell, The Wisdom of the West, London: Macdonald, 1959, p.225. 10. A 140 - translation by J. M. D. Meiklejohn. 13. 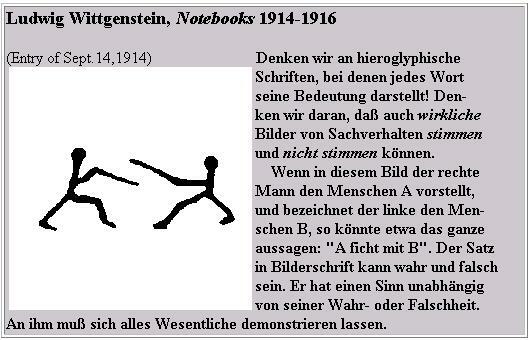 See my "Wittgenstein as a Philosopher of Secondary Orality", Grazer Philosophische Studien 52 (1996/97), pp.45-57. 15. Bertrand Russell, "On Propositions: What They Are and How They Mean" (1919). Aristotelian Society Supplementary Volume, 2, pp.1-43. I am here quoting from J.G. Slater (ed. ), The collected papers of Bertrand Russell, Volume 8: The Philosophy of Logical Atomism and Other Essays, 1914-19. London: George Allen & Unwin, 1986, pp.284f. The passage in full: "If you try to persuade an ordinary uneducated person that she cannot call up a visual picture of a friend sitting in a chair, but can only use words describing what such an occurrence would be like, she will conclude that you are mad. (This statement is based upon experiment.) I see no reason whatever to reject the conclusion originally suggested by Galton's investigations, namely, that the habit of abstract pursuits makes learned men much inferior to the average in the power of visualizing, and much more exclusively occupied with words in their 'thinking"'. When Professor Watson says: 'I should throw out imagery altogether and attempt to show that practically all natural thought goes on in terms of sensori-motor processes in the larynx (but not in terms of imageless thought)' (Psychological Review, 1913, p. l74n. ), he is, it seems to me, mistaking a personal peculiarity for a universal human characteristic." Later in the paper Russell writes: "The 'meaning' of images is the simplest kind of meaning, because images resemble what they mean, whereas words, as a rule, do not", p.292. 16. London: Hutchinson's Universal Library, p.252. Some pages later Price makes the telling remark: "some people are almost incapable of drawing", p.258. 17. See Koestler, The Act of Creation, London: Hutchinson, 1964, pp.183f. Koestler refers to the June 1961 issue of Scientific American as his source, but remarks that the problem originates with the psychologist Carl Duncker. 19. 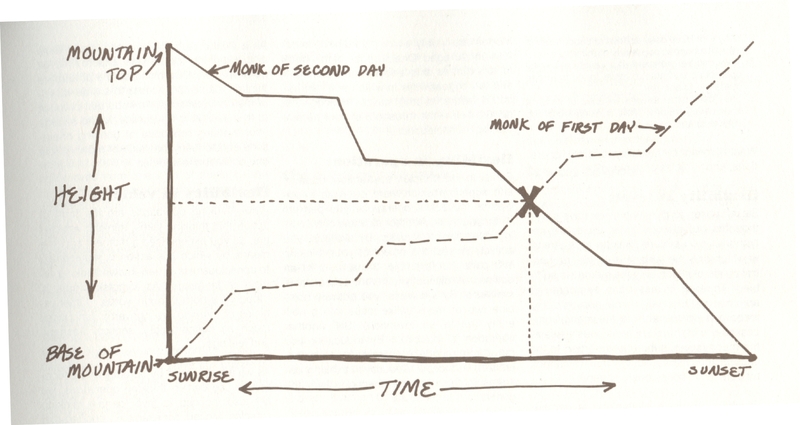 Robert H. McKim, Experiences in Visual Thinking (1972), Boston: PWS Publishing Company, 1980, p.3. The diagram gets slightly worse in McKim's other volume, Thinking Visually: A Strategy Manual for Problem Solving (Palo Alto, CA: Dale Seymour Publications, 1980, p.4) - basically the same book in a different guise. 20. Merlin Donald, Origins of the Modern Mind: Three Stages in the Evolution of Culture and Cognition, Cambridge, Mass. : Harvard University Press,1991, p.16. 26. Paul Saenger, "Silent Reading: Its Impact on Late Medieval Script and Society", Viator 13 (1982), p.372. 28. William Ivins, Jr., Prints and Visual Communication, London: Routledge and Kegan Paul, 1953, p.15. 30. Francis Bacon, The Advancement of Learning, Oxford: Clarendon Press, 1974, pp.130f. 31. "The writing or talking language is only of 'one expansion' - the sounds come one after the other in time, the word-signs come one after the other on paper, as for example the telegram signs on a long, narrow band of paper. The same is true in books - one word over another in the line under it has no effect on the sense. But there are languages of 'two expansions'." Otto Neurath, International Picture Language, London: 1936, repr. University of Reading: Department of Typography & Graphic Communication, 1980, p.60. 33. Ibid., pp.65 and 111. 34. A subtle and imaginative analysis of Wittgenstein's idea of a directly depicting language is given in Barry Smith, "Characteristica Universalis", in: K. Mulligan, ed., Language, Truth and Ontology, Dordrecht: Kluwer, 1992. 35. PI, §389. As Judith Genova puts it: "Images, like pictures, still retain a distance from phenomena. They exist within a method of representation and thus are as constructed as any picture. The important point is that they have no privileged position with respect to our thinking and, in fact, are poorer sources of a way of seeing than the pictures embedded in ordinary language" (Wittgenstein: A Way of Seeing, London: Routledge, 1995, p.74). See also her brilliant short paper "Wittgenstein on Thinking: Words or Pictures?" (in: R. Casati - G. White, eds., Philosophy and the Cognitive Sciences, Kirchberg am Wechsel: ÖLWG, 1993, pp.163-167) which, as I have recently realized, is really an anticipation of what I am here trying to say. 36. Jerry A. Fodor, "Imagistic Representation", in Ned Block, ed., Imagery, Cambridge, Mass. : The MIT Press, 1981, p.68. This text in Block, ed., is taken from Fodor's The Language of Thought (1975). The remark appears again, quite disfigured by then, in Zenon W. Pylyshyn's Computation and Cognition: Towards a Foundation for Cognitive Science: "As Wittgenstein points out, the image of a man walking up a hill may look exactly like the image of a man walking backward down a hill; yet, if they were my images, there would be no question of their being indeterminate - I would know what they represented" (Cambridge, Mass. : The MIT Press, 1984, p.41). 37. Søren Kjørup, "George Inness and the Battle at Hastings, or Doing Things With Pictures", The Monist, vol.58, no.2 (April 1974), pp.222ff. An excellent supplement to Kjørup's paper is Carolyn Korsmeyer,"Pictorial Assertion", The Journal of Aesthetics and Art Criticism, XLIII/3, Spring 1985. 39. Pears--McGuinness translation. Ogden has "representing relation". 42. Stressing, also, their instrumentality. Compare PI §291: "What we call 'descriptions' are instruments for particular uses. Think of a machine-drawing, a cross-section, an elevation with measurements, which an engineer has before him. Thinking of a description as a word-picture of the facts has something misleading about it: one tends to think only of such pictures as hang on our walls: which seem simply to portray how a thing looks, what it is like. (These pictures are as it were idle.)" 43. PI, Part II, p.201e. 44. Cf. note 12 above. An earlier version of Roser's paper was read at the conference Wittgenstein y el Circulo de Viena, organized by the Universidad de Castilla-La Mancha with the collaboration of the Forschungsstelle und Dokumentationszentrum für Österreichische Philosophie, at Toledo, November 3-5, 1995. 45. Cf. Ld. W.J.T. Mitchell, Iconology: Image, Text, Ideology, Chicago: The University of Chicago Press, 1986, p.38 and passim. - For an excellent discussion of the broader philosophical issue of perspective see Kurt Röttgers, "Perspektive - Raumdarstellungen in Literatur und bildender Kunst", in Kurt Röttgers - Monika Schmitz-Emans, Perspektive in Literatur und bildender Kunst, Essen: Verlag DIE BLAUE EULE, 1999. 46. See Gombrich, "Image and Code: Scope and Limits of Conventionalism in Pictorial Representation", in Wendy Steiner, ed., Image and Code, Ann Arbor: University of Michigan Studies in the Humanities, no.2, 1981, p.21. 47. Languages of Art, Indianapolis: Bobbs-Merrill, 1968, p.5. 48. John R. Searle, "Las Meninas and the Paradoxes of Pictorial Representation", in W.J.T. Mitchell, ed., The Language of Images, Chicago: University of Chicago Press, 1974, p.251. 49. Arthur C. Danto, "Depiction and Description", Philosophy and Phenomenological Research, vol.XLIII, no.1 (Sept. 1982), p.17. The German translation of this paper is included in the important collection Was ist ein Bild? (Gottfried Boehm, ed., München: Wilhelm Fink Verlag, 1994). I am grateful to Karlheinz Lüdeking for having informed me, at the Kirchberg conference in 1995, of the existence of this volume. In fact, he presented me with a copy! 50. The first such analysis came, perhaps not surprisingly, from the Wittgensteinian corner. It appears in Richard Wollheim's review of Languages of Art (published in The Journal of Philosophy in 1970). This builds on arguments previously formulated in Wollheim's book Art and Its Objects (New York: Harper & Row, 1968), which in turn rely heavily on both Part I and Part II of the Philosophical Investigations, on Gombrich, and, to some extent, on Peirce. In the book Wollheim develops Wittgenstein's concept of "seeing as" into a notion of representation, stressing that, even though "the concept of resemblance is notoriously elliptical, or, at any rate, context-dependent", still, the "attribution of resemblance" does play a role if occurring inside the "language of representation" (loc. cit., pp.14-16). In the review, the concept of "seeing as" is transformed into Wollheim's notion of "seeing in". Goodman's convention theory is, Wollheim argues, false. This is because the artist's freedom to employ any picture to represent any object will be limited by what the viewer can see in the picture. Wollheim's point was taken up by, among others, David Carrier in his contribution to the April 1974 Monist issue devoted to Languages of Art. As Carrier puts it: "The convention theory is wrong, one wants to say, because it is not true that anything can be seen as representing anything else, even though anything can denote anything else". And it has been taken up again by Jenefer Robinson in her "Languages of Art at the Turn of the Century" (The Journal of Aesthetics and Art Criticism, vol.58, no.3, Summer 2000: SYMPOSIUM: The Legacy of Nelson Goodman). A slight echo of Wollheim can be sensed also in Craig Files' definitive paper "Goodman's Rejection of Resemblance" (British Journal of Aesthetics, vol.36, no.4, Oct. 1996). The question of "content", Files writes, "is an issue within the question of representation". Let me note however that Files' main argument in this paper is based on Peirce. 51. Stephen M. Kosslyn, Image and Brain: The Resolution of the Imagery Debate, Cambridge, Mass. : The MIT Press, 1994, p.6. As Barbara Tversky has illuminatingly put it in her talk at the Kirchberg symposium: "The information about environments in long-term memory does not resemble in either structure or format a map such as those developed by cartographers for a variety of purposes. ‘Cognitive maps' – that is, whatever mental information is used to make geographic judgments – ... seem to have a variety of formats consisting in part from memory for maps that may have been studied, in part from memory for experiences in environment, in part from memory for descriptions of environments." 53. Damasio, Descartes' Error: Emotion, Reason, and the Human Brain. New York: Grosset / Putnam, 1994. The title of the book refers to Descartes' view that the absence of emotions enhances rational thinking. In the course of his work as a neurophysiologist Damasio has come to the conclusion that, on the contrary, without an emotional background no reasoning at all can occur. Hence his dictum: "The traditional views on the nature of rationality [can] not be correct" (p.xi). 54. See loc. cit., pp.96-108. 55. First published in Minnesota Studies in the Philosophy of Science, vol. I: The Foundations of Science and the Concepts of Psychology and Psychoanalysis, ed. by Herbert Feigl and Michael Scriven, Minneapolis: University of Minnesota Press, 1956, reprinted in Wilfrid Sellars, Science, Perception and Reality, London: Routledge & Kegan Paul, 1963. One of the first contributions to the present phase of the imagery debate, Allan Paivio's Imagery and Verbal Processes (New York: Holt, Rinehart and Winston, 1971), represents an entirely clear methodological position here. Both "mental images and mental words", writes Paivio, belong to the order of "postulated processes", both are "theoretical constructs", "inferential concepts", which can have "functional significance" only to the extent that each "can be differentiated from other concepts theoretically", and to the extent that "these distinctive theoretical properties are open to empirical test". Paivio's question is "whether or not it is necessary, or at least useful, to postulate both kinds of symbolic processes, nonverbal as well as verbal, to account for effects that have been observed in a variety of situations". He contrasts his own methodology with "the classical approach to imagery" in which "the term image was used to refer to consciously-experienced mental processes". (Imagery and Verbal Processes, pp.6-11.) This contrast became blurred again in the later discussions. 56. New York: Appleton-Century-Crofts, pp.149f. Note however that, as Barbara Tversky has pointed out in the discussion at Kirchberg, Neisser's evidence has been contested by a study by Haber who found no decline with age of eidetikers. 57. In his method of iconic representations Barsalou is heavily indebted to Ronald W. Langacker's 1986 essay "An Introduction to Cognitive Grammar" (Cognitive Science 10). 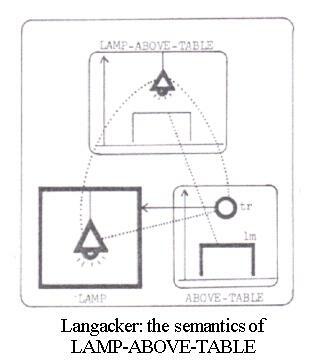 Langacker's focus, however, is on linguistic meaning rather than on mental imagery. By the mid-eightees the new graphic capabilities of computers have definitely begun to make themselves felt. In their book Understanding Computers and Cognition Winograd and Flores could already write about "the appeal of computers like the Apple MacIntosh (and its predecessor the Xerox Star)", an appeal being due to encompassing both "text and graphic manipulation" (Reading, Mass. : Addison-Wesley, 1986, p.165). 58. See ch.2 of his Content and Consciousness, repr. in Ned Block, ed., Imagery. 59. Jerry A. Fodor, "Imagistic Representation", in Ned Block, ed., Imagery. 60. Elliott Sober, "Mental Representations", and Robert Howell, "Ordinary Pictures, Mental Representations, and Logical Forms", both in Synthese 33 (1976). 61. Thinking and Experience, p.235. 74. "Do we have images which are as it were inchoate entities? I confess that I cannot confidently answer 'No', as Berkeley and Hume did. ... Ordinary people, who are neither philosophers nor psychologists, sometimes describe their images as 'vague'. Indeed, anyone who has images at all is strongly tempted to describe some of them in this way. Yet a philosophical purist might object that it makes no sense to call an actual particular vague. When a word is called vague, for example the word 'bald', the vagueness belongs not to the sound or mark itself (there is nothing vague about that) but rather to the symbolic function it performs. We cannot draw a sharp line between the things to which it applies and the things to which it does not. But when an image is called vague, it is not vagueness of meaning that is referred to, but something in the nature of the image itself, an intrinsic or internal vagueness. ... I would suggest that the word 'vague', in this usage, is just an untechnical and perhaps misleading equivalent for the terms 'inchoate', 'incompletely determinate', ... and likewise for Locke's term 'imperfect'", ibid., pp.288f. 78. A passage I find very instructive in that it shows in a nutshell Barsalou's difficulties in coming to terms with contradicting literary influences: "There is good reason to believe that perceptual representations can and do have intentionality. Pictures, physical replicas, and movies often refer clearly to specific entities and events in the world ([cf.] e.g., Goodman, [Languages of Art]; Price, [Thinking and Experience])." At which point follows the passage I have already quoted above: "Just because the content of a perceptual representation is not the only factor in establishing reference, it does not follow that a perceptual representation cannot have reference and thereby not function symbolically." 79. Thinking and Experience, pp.104 and 297. 80. PI, Part II, p.217e.